How much is Scott Rosenberg Worth? Scott Rosenberg net worth: Scott Rosenberg is an American screenwriter, producer, and actor who has a net worth of $12 million. 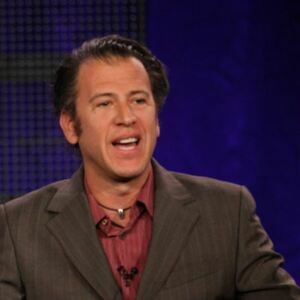 Scott Rosenberg was born in Needham, Massachusetts in April 1963. He has created several television series including October Road, Life on Mars, Happy Town, and Zoo. Rosenberg has written and or produced for the films Things to Do in Denver When You're Dead, Beautiful Girls, Con Air, Disturbing Behavior, High Fidelity, Gone in 60 Seconds, Imposter, Highway, Kangaroo Jack, Jumanji: Welcome to the Jungle, Venom, February, and more. Scott Rosenberg has also written, produced, and/or appeared in TV movies or episodes of TV series including Bimbo Penitentiary, Air Time, Firearm, There's Something About Mary, Armageddon, The General's Daughter, Me, Myself and Irene, Domestic Disturbance, Spider-Man, Wonderland, Fever Pitch, Pain & Gain, and more. Rosenberg was nominated for a BAFTA Award in 2001 for Best Screenplay – Adapted for High Fidelity. He has also been nominated for two Writers Guild of America Awards.